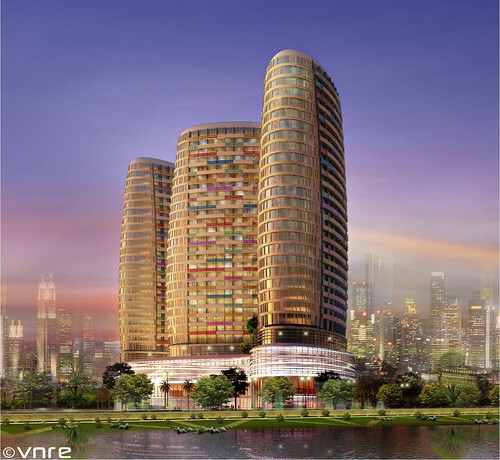 VNRE – Ho Chi Minh City property developers are hunting customers despite a sluggish market performance. 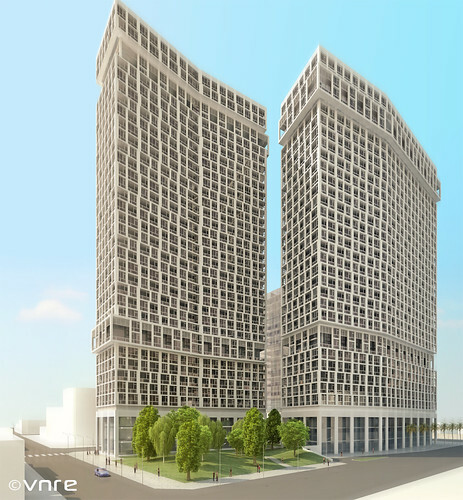 On March 26, the Daewon-Thu Duc Housing Development Joint Stock Company launched its model housing and unveiled a plan to sell 200 apartments within the Cantavil-Premier project which is a $70 million, 36-story property positioned in Ho Chi Minh City’s District 2. “We are confident in going forward despite the market’s standstill,” said company general director Howang Yu Nam. Earlier, on March 21, the developer of Thanh Da View project Thanh Yen Joint Stock Company rolled out 132 top-class apartments under the project which is situated in Binh Thanh district’s Thanh Da peninsula into the market starting from VND29.9 million ($1,444) per square metre. Around 30 customers registered to become owners of these luxurious residences. Thu Duc Housing Development Joint Stock Company (TDH) also offered for sale 80 apartments ranging from 54.9 to 120.3 square metres and six penthouses with area from 115 to 149.1sqm at around VND15.9 million ($768.1) per square metre. These properties are within the company’ TDH-Phuoc Binh apartment complex in District 9. In mid March, Dai Thanh Company launched around 400 apartments within Tan Phu district’s Dai Thanh complex at a competitive pricing terms of VND13.1 million ($632.8) per square metre. According to preliminary surveys, more than 10 apartment projects based in Ho Chi Minh City were put on sale in March alone. CBRE Vietnam deputy director Nguyen Nguyen Thai said around 40,000 apartments would be rolled into the city market within 2011, irrespective of another 10,000 ‘stockpiled’ apartments from 2010. This would mean that project developers bear high pressures amid excessive supply sources. 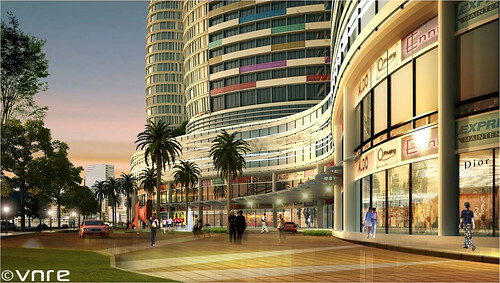 A CBRE survey showed that developers of a number of apartment projects intended to market their products in late 2010. They later extended the date of launching to wait for market improvements. To recoup capital, businesses had to lower initial prices to boost sales. For example Dai Thanh Company, developer of Tan Phu district’s apartment project, pulled down its price from VND14.9 million ($719.8) to VND12.7 million ($613.5) million per square metre for wholesale customers. VNRE – Today, PetroVietnam Construction Joint Stock Corporation (PVC) held a ceremony to announce and award winning of the architectural design competition for PVN Tower project. The jury of the contest decided to award first prize worth 50 thousand dollars for Pelli Clarke Pelli Architects Company – U.S., second prize worth 30 thousand dollars for Fender Katsalidis Architects (FKA) – Australia and third prize worth 20 thousand dollars for the joint venture of PCIC – Codinachs (Spain) and Nikken Sekkei Co. – Japan. According to organization board, the contest plans are to ensure criterias that the competition proposed, namely: harmonious, highclass, efficiency, symbolic, feasibility of the technical of building. With winning plans, PVC will be given priority in talks to sign a contract in order of First, Second, Third. Mr.Vu Duc Thuan, General Director of PVC, said PVN Tower project will be adjusted down to 79 storeys in comparision with originally planned as 102 storeys. The project is designed to withstand earthquakes level 7th. Total capital investment of 600 million USD and won’t use sources from State budget and Vietnam National Oil and Gas group. Accordingly, PVC and other members will take 15% of capital and invite some foreigners to work together, towards the foreign partners to hold controlling shares. PVC is currently in negotiations with a number of the group as Hyundai, Samsung of Korea for financial arrangements. According to Mr.Vu Duc Thuan, PVC will increase its chartered capital from 2000 billion to 5000 billion VND, while the capital of the Vietnam National Oil and Gas Group in PVC will withdraw to 20% instead of 40% today. 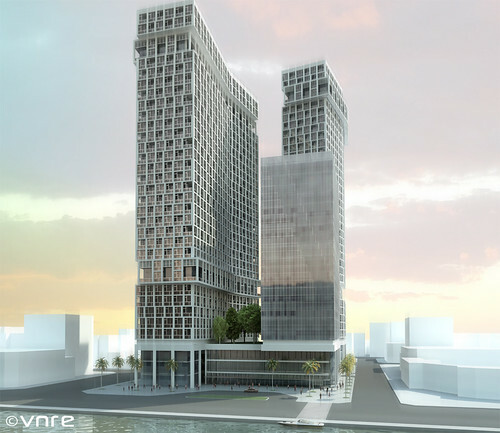 PVN Tower will be built on 25 hectares of land in Me Tri commune, Tu Liem district, Ha Noi for business in the areas of office, commercial centers, hotels, apartment… maximum height of 500m. 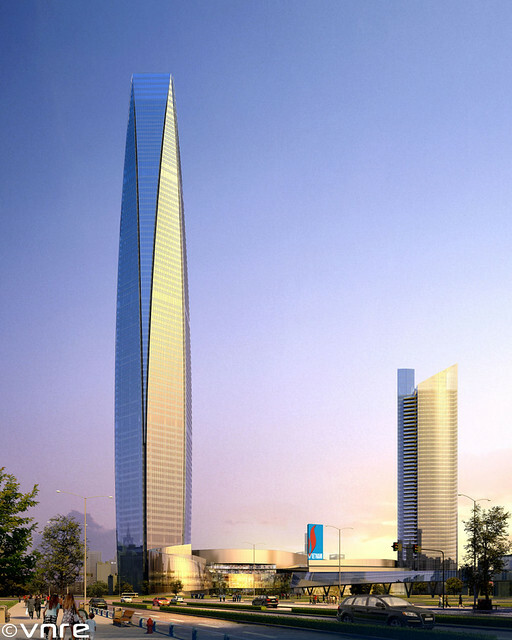 The building will bring the international symbol for Vietnam’s oil and gas industry. Third Prize: PCIC – Codinachs (Spain) and Nikken Sekkei Co. – Japan. VNRE – Morning 03/29/2011, Hoa Phat Group officially opened the show flat of Mandarin Garden luxury apartment project for visitors. The show flat including 02 apartments with area of 122.7 m2 (2 bedrooms) and 172.2m2 (3 bedrooms) are located on 17th floor of Charmvit Tower. Especially from the point, visitors can view overall construction area to have the most accurate assessment about the location as well as progress and quality of the project. Located between a green space population surrounded by Nhan Chinh lake with area of 130,000 m2 in front and a green park 28,000 m2 behind. In the heart of project is a garden and swimming pool 9000 m2. Mandarin Garden will be a green heart in the middle of the new center of the capital. VNRE – The retail premises market has cooled down since the end of 2010. Leasers now have to offer low rent to retailers because of the decreasing demand. A report released in late 2010 by CBRE in HCM City showed that the percentage of unoccupied retail premises had increased considerably by 8.7 percent by the end of the year in comparison with the previous quarter. Thu, the owner of a clothes kiosk at An Dong Plaza shopping center in district 5 in HCM City has given back the retail premises on the second floor of the center. She has moved to a kiosk on the first floor near the escalator which has a monthly rent of 20 million dong. One year ago, small merchants had to pay 30 million dong a month for such a kiosk. As such, the rent of the kiosks on the first and second floor at An Dong Plaza has reduced by 20-30 percent. “The purchasing power has been decreasing. Therefore, I have to move to the first floor where there are many visitors. It is difficult to sell goods if you sit on the second floor,” she said. “Due to the high inflation rate, people, including high income earners, are reducing their purchases, thus causing big difficult to retailers. Therefore, it is the responsibility of retail premises leasers to help retailers,” said Trieu Huong Giang, Deputy General Director of Zen Plaza shopping mall. Zen has calculated that the sales in March 2011 dropped by 15 percent in comparison with the same period of the last year. Therefore, it has decided to launch more and longer lasting sales promotion campaigns. Also according to Zen, only several shopping malls in district 1 have a turnover that is decreasing by less than 20 percent. Other shopping malls in other districts remain in severe shortage of patrons. 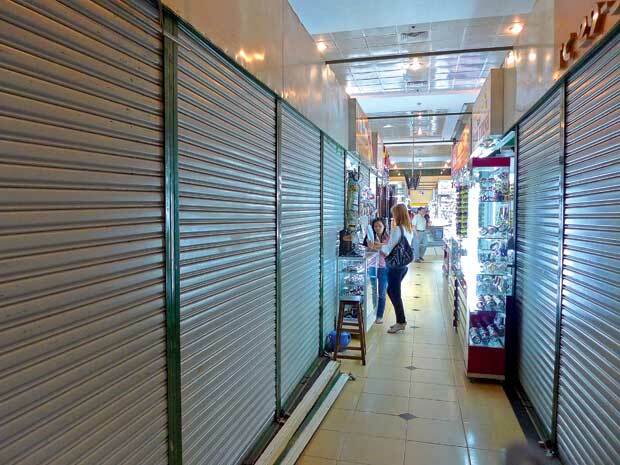 Even Ben Thanh Market, which is well known as the place which sets the highest retail premises rent in HCM City, at 40-42 million dong per square meter, also has to reduce rent. The kiosks located on the most advantageous positions in the market have not had their rent changed, but the kiosks on other positions all have reduced by 10-20 percent. The kiosk of Nguyen, located at the western entrance, specializing in selling bags and wallets, had a rent of 15 million dong per square meter last year, but now can be leased for 11 million dong per square meter. In general, leasers always raise the rent for retail premises after a certain period. However, the rent increase does not occur in the first quarter. Thuy, the owner of a fashion shop on Nguyen Dinh Chieu street, said she has given back a 6 meter wide room on the same street to move to another room with smaller area. “I asked the leaser to keep the rent the same, but he insisted on the raising it to 22 million dong a month. However, as it is very difficult to do business at this moment, I have decided to move to another place which has a lower rent of 14 million dong,” she said. Believing that purchasing power is not likely to increase, Uy, the owner of the fashion shop chain Senti and A&T, has also given back his retail premises at high grade shopping centers. He is only keeping his street-front shops. “The landlords, who have signed contracts with me, do not intend to raise the leasing fee, while other landlords are avoiding leasing via brokers in order to reduce commission fees,” he said. According to Savills Vietnam, a real estate service provider, by the end of 2010, there had been six grocery centers, 20 shopping centers, six retail areas, 58 supermarkets and three wholesale supermarkets which cover an area of 625,000 square meters, an increase of 27 percent if compared with 2009. The increases are not the same in different districts: the supply of retail premises increased by 58 percent in the central area and by 24 percent in the suburbs. Districts 2 and 7 have caught special attention from retailers because they are near the center and have a high population density. Source: Vietnamnet, CBRE, Savills Vietnam. 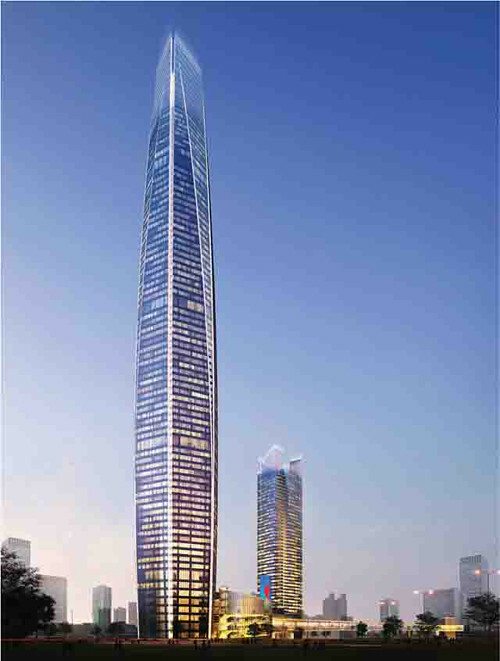 VNRE – Construction of the 79-storey Oil and Gas Tower, which will be Hanoi’s tallest building, will not use any capital from the State budget, affirmed its investor, the PetroVietnam Construction Joint Stock Company (PVX). PVX General Director Vu Duc Thuan made the statement at a press briefing in Hanoi on March 27, denying rumours that the project will be partly funded by capital from the State budget and the National Oil and Gas Group (PetroVietnam), which holds a 40 percent stake in PVX. 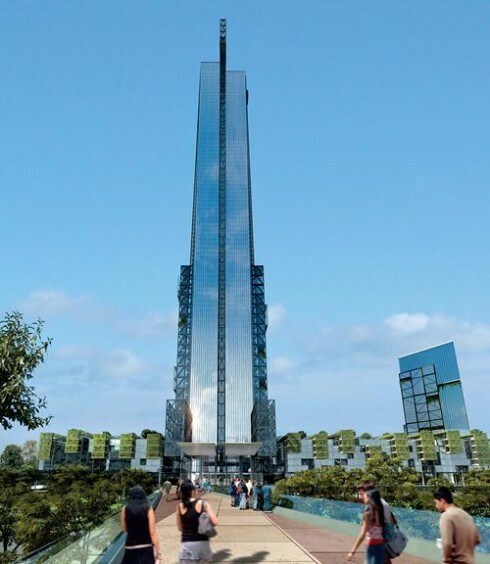 According to Thuan, the building will have only 79 storeys instead of the originally-planned 102 storeys and as a result, the estimated cost will drop from over US$1 billion to US$600 million. Thuan said that when the project’s feasibility study is approved, PVX will set up the Oil and Gas Tower Joint Stock Company to arrange capital and carry out the project. Capital for the project is expected to be sourced from PVX and domestic and foreign partners. 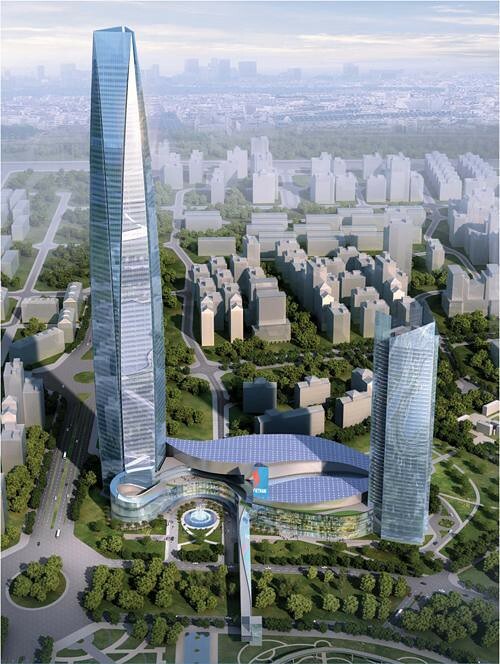 PVX will joint the Hansin firm from the Republic of Korea and Samsung C&T, both of which have experience in constructing buildings over 70 storeys. 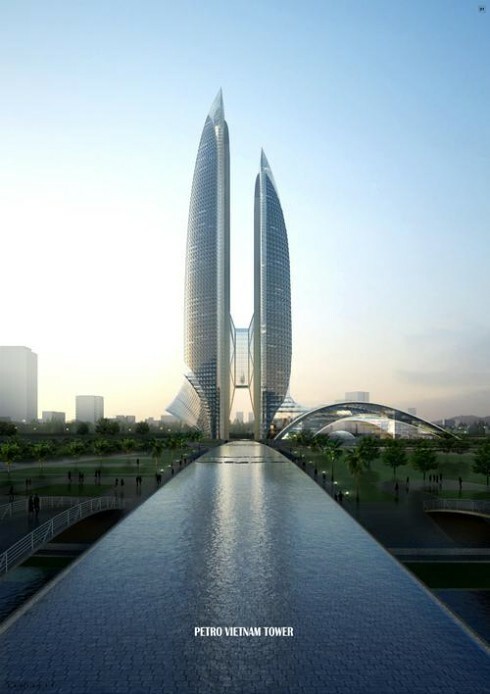 The project’s final design will be announced on March 30 after an international competition. 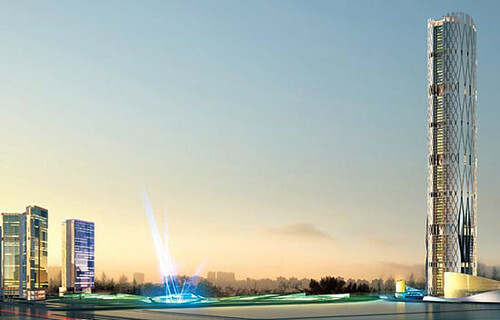 The Oil and Gas Tower will be built on 6.5 ha in Me Tri commune, Tu Liem district, Hanoi. It will be built using modern and environmentally- friendly technology and be able to withstand earthquakes up to 6 on the Richter scale. VNRE – Many property companies are struggling to survive from the difficult times this year as the government tightened lending growth rate of loans on real estate. The property market in 2011 is not an attractive investment class due to abundant supplies, weak buying and low liquidity, said Nguyen Do Viet, deputy general director of property firm Song Da Thang Long. Viet also expected that investors opted for gold and the US dollar this year. “Strong cash flows keep run into the two investment classes. High saving rates also encourage people to deposit their money into banks,” he said. Experts said the market trend still relied strongly in bank loans. Market research firm Vietnam Report said in its latest report that 45 percent of people who want to buy houses planned to borrow from banks. Vu Dinh Anh, Deputy Head of the Price and Market Research Institute, an arm of the Ministry of Finance, said an amount of around US$5 billion, which is bank loan, will be withdrawn from the real estate market this year as the government targeted to reduce loans on property to 16 percent from 23 percent. Anh expected that the State Bank of Vietnam will also withdraw around VND400 trillion ($20 billion) from the market. “It shows that the yearend will be the most difficult time for the property market,” he said. “Property firms and investors should not expect the government to use any bailout package to boost the market. It will hardly happen this year,” said Professor. Dr. Dang Hung Vo, Former Deputy Minister of Natural Resources and Environment. Efforts to survive from the difficult times have seen many property firms have to reconsider their business plans. Lam Van Chuc, general director of the property firm Phuc Duc, said the company canceled plans on apartment buildings and switched to common houses, which cost less and can be sold easily. Tran Van Thanh, chairman if Nha Viet Nam Joint Stock Company, said the firm decided to invest in villa projects, instead of apartments, which require huge amounts of capital and have low rate of return. Mathew Powell, director of property market consultancy Savills Hanoi, noticed small investors should perform a careful study to assess construction projects before making any decision, learning on construction quality, designs and location. However, some experts said there were still lights at the end of the tunnel. “Lands are always a safe investment class, with high liquidity. Two-bedroom apartments with the average area of 80 square meters and the price of VND30 million per square meter are also one of investors’ top picks,” said Phan Thanh Mai Head of Vietnam Network for Real Estate Transaction Centers. 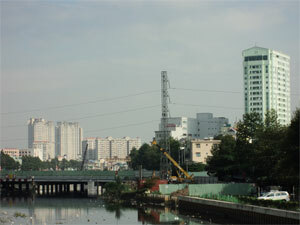 He added the property market in Hanoi remains very bullish now thanks to the high housing demand. Many experts worry that the property will likely to collapse if the government’s policies are too tight. “The property market is one of the most important parts of the economy, so it should get preferential policies similar to other sectors,” said the Price and Market Research Institute’s Anh. 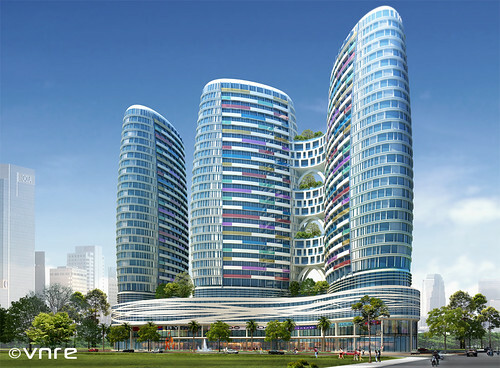 VNRE – On 26/03/2011, Trung Thuy Group Corporation and Saigon Beer Transport & Logistics JSC (Sabetran) published the results of the architectural competition for Lancaster Residences D4 project. With the idea of designing the building like a sail, take the natural harmony of living space, fuel economy, overall architecture is beautiful, consistent with the area and landscape around the building and especially to ensure the safety, designed by NQH Architects has won first prize. 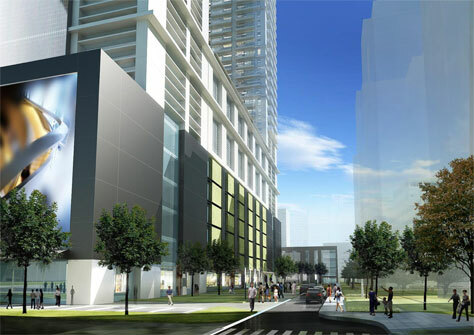 The reward for NQH is a deal design package entire Lancaster Residences D4 project. DWP got second prize with a 12,000 USD reward, AW2 got third prize with a $8,000 reward, ICIC got four prize with a $5,000 reward. 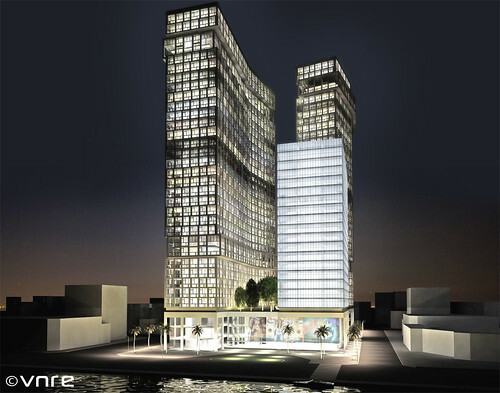 Lancaster Residences D4 is located at 78 Ton That Thuyet street, District 4, surrounded by so many rivers and canals. From here can easily go to District 5, District 8, District 1, District 7 and Thu Thiem.